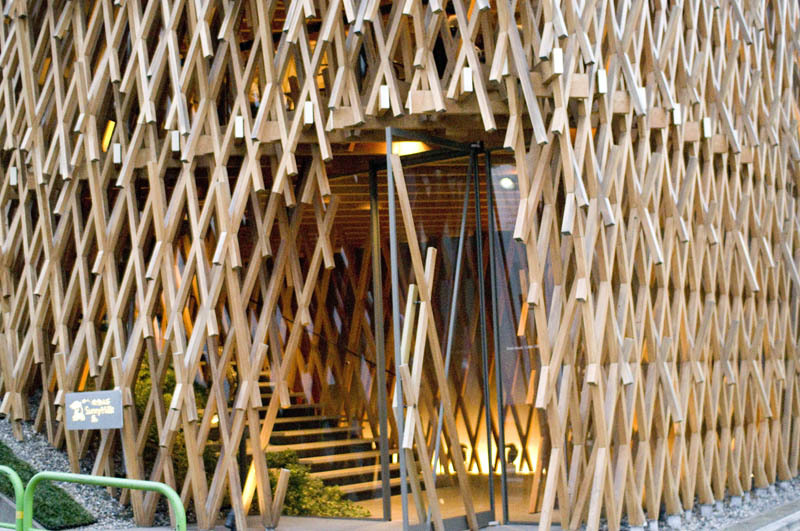 The three-dimensional wooden lattice of Japanese cypress covering the facade of this building was created using traditional wooden construction techniques. The building houses a Taiwanese pineapple cake shop, and the overall form evokes the image of a bamboo basket. 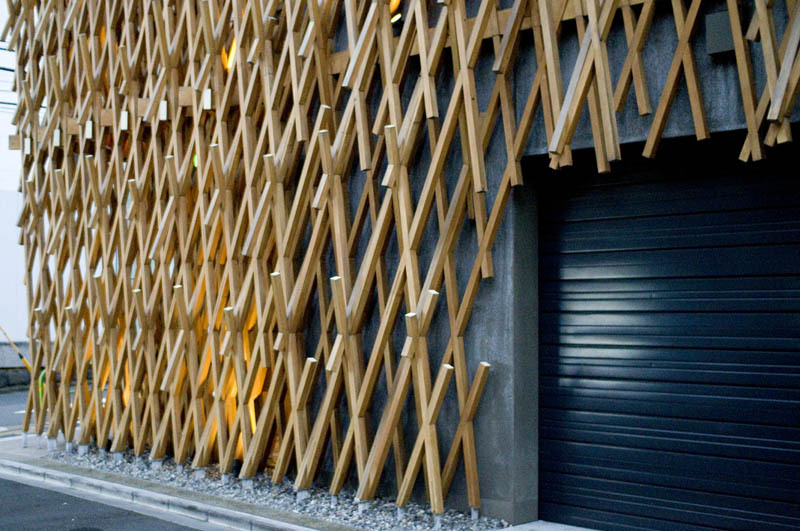 Completed in 2014, it is the work of architect Kengo Kuma, who was also responsible for the nearby Nezu Museum.